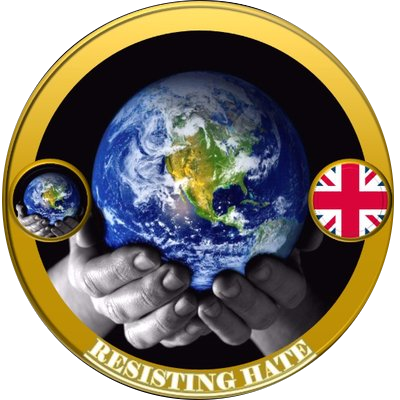 Resisting Hate did not publish the private address of Tommy Robinson nor any of the addresses wrongly assumed to be Robinson. The individual who did has publicly confirmed she is not associated with our group. We condemn this action. The safety of Robinson, his wife and children should not have been put at risk. 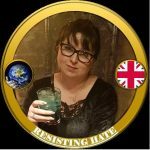 Resisting Hate do not endorse the threats made to Tommy Robinson and his family. The individual who made these threats is not a member of our group and we have fully disassociated from him and condemned the threatening tweets. The confusion relating to the Robinson incident has come about because one of our more persistent trolls has sent lies to Robinson, other high profile far right individuals and several media outlets. These lies have been widely published without being fact checked. We will not be commenting further on this clearly mentally disturbed individual other than to say we have made a formal statement to the police relating to the death threats we have received from him and detailing this relentless obsession. We will not be posting his private details, we have passed those details to the police. I’d also suggest those involved with this tiresome troll disassociate yourselves so as not to become involved in the police investigation about him. We would ask our readers, members, associates and friends not to resort to threats. It is perfectly acceptable to report Robinson’s Twitter account. It is not acceptable to make threats against him or his family. And this goes for anyone else too. Making threats is not the way to deal with haters. We have a legal system for that. We are regularly passed details of people who have broken the law with their hate speech. We do not post these details publicly even if they are in the public domain already. We pass these details to law enforcement, social media providers and in some cases where the individual is a threat to the public, their employer. I would also point out that we do this only in extreme cases where credible threats of violence have been made. Resisting Hate operate entirely within the laws of the UK. We do not break the law and we do not encourage other people to break the law. We frequently get mentioned with other groups and organisations. I wish to be 100% clear on this. 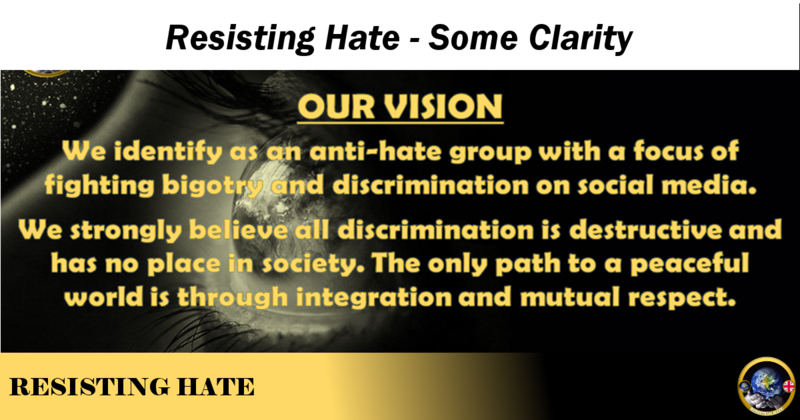 Resisting Hate are an independent organisation. We have no formal affiliation with any other group. The decisions made by Resisting Hate are made by our five founders and in no way reflect the beliefs or values of any other organisation. I will also confirm we currently receive no public funding. There is a difference between expressing an opinion and spreading hate. If you express an opinion that is your right. If you gloat about the innocents who died in the Holocaust and send graphic pictures to survivors (a genuine example from my inbox today) then this is hate speech. The abuse we have received this week clearly shows how effective Resisting Hate have become. We have built a network that is not reliant on any single platform and we are now starting to see just how effective the systems we have been working on for a year are. To the far right haters hoping that the abuse and threats aimed at us this week will defeat us I am afraid you are sadly mistaken. I have lost track of how many people have said the abuse directed at us simply strengthens our resolve. Both myself and Resisting Hate have absolutely no intention of stopping what we do. If anything the publicity directed at us this week has only served to reinforce group solidarity and grown our membership. Finally I would point out that Resisting Hate are only effective because there are people out there posting genuine hate. I could get a million people to report a tweet remarking how lovely the weather is, Twitter would not suspend that account. You need to own your suspensions instead of blaming people who object to the hatred you spew onto the internet.